As I write this, it is April 2, and we're expecting a snowstorm. April Fools was yesterday, right? I thought so too..... There's no denying, however, that spring has finally come to New England! At least it should be here in time for our first time at CraftBoston, at the end of the month. It's such a wonderful show in a fabulous location whose venue, the Cyclorama, is itself is a work of art. Here's a little bit about the show! Spoiler alert: We'll also be at CraftBoston Holiday at the Hynes Convention Center in December! 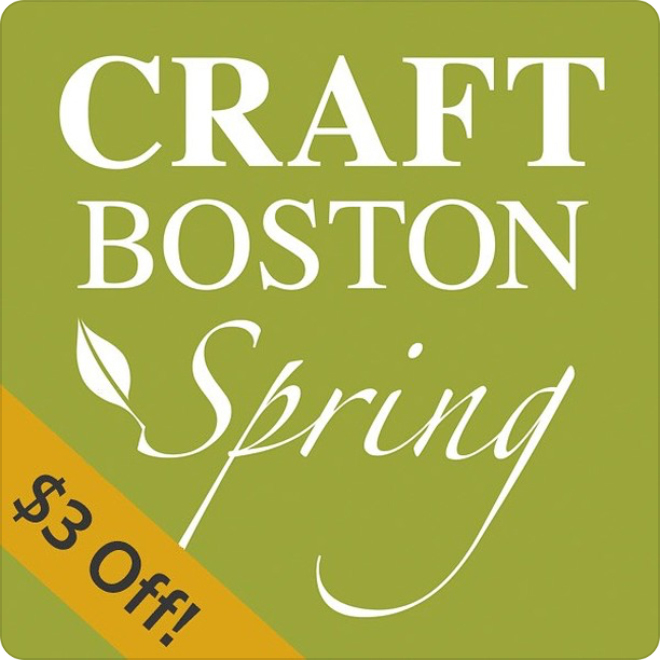 CraftBoston Spring is a juried show of contemporary craft, featuring the work of 90 artists creating today's most remarkable handmade jewelry, clothing, furniture, and home decor. Shoppers will discover a a panorama of inspiring craft in the South End's historic Cyclorama — a charming 19th-century brick building that provides an intimate viewing experience. Spend a Spring afternoon learning about contemporary craft, meeting the artists, and finding something fabulous to take home. Just in time for Mother's Day! Online: Purchase tickets here and use coupon code SPRINGSAVINGS for $3 off. At the Door: Show this coupon at admission. No need to print, just show on screen.